President Mandela – with his message of reconciliation, even in the face of extreme cruelty – has long been one of Lord Verjee’s heroes. 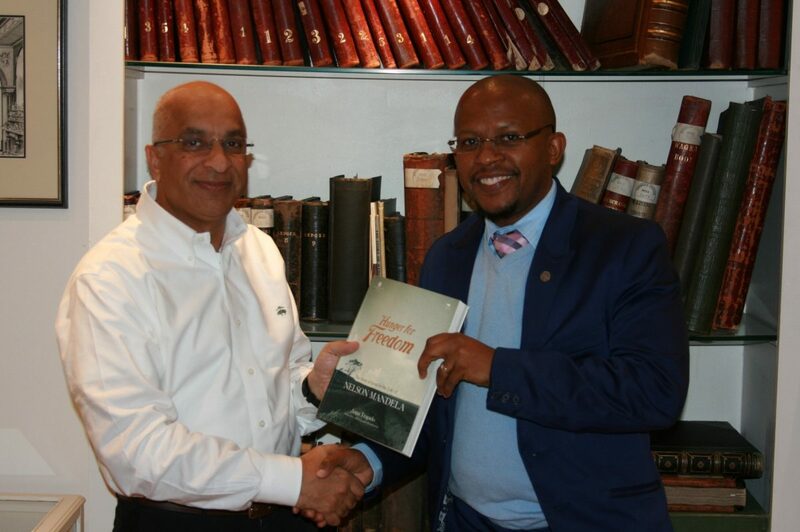 In October 2013, he met with Sello Hatang, Chief Executive of Nelson Mandela Foundation, and was thrilled to be presented with a signed copy of Hunger For Freedom, President Mandela’s book. The Rumi Foundation hopes to deepen its ties with the Nelson Mandela Foundation and promote President Mandela’s message of compassion and reconciliation across the world.